loofie and mishka: Farbenmix Fun! I have mentioned Farbenmix in previous posts and I suppose it may need some explanation. 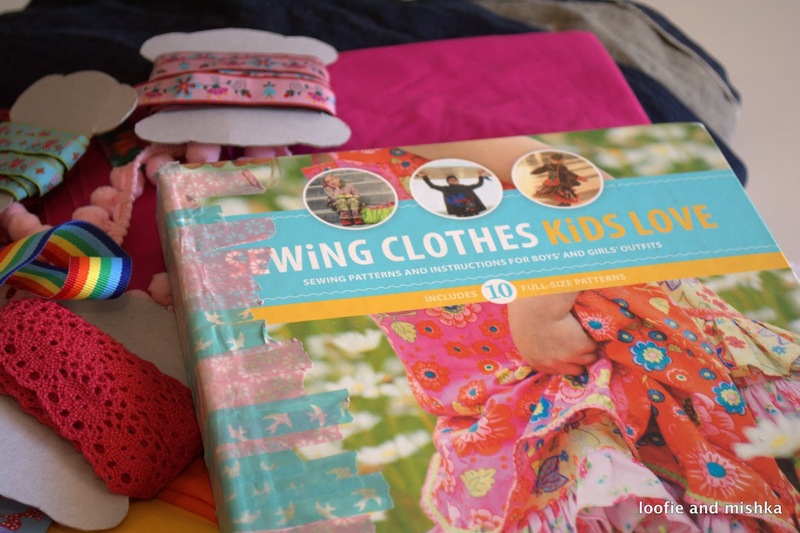 I first encountered Farbenmix after buying “Sewing Clothes Kids Love” by Nancy Langdon and Sabine Pollehn; little did I know the effect this pretty book would have on my sewing. Farbenmix is a German company that publishes the most amazing sewing patterns, makes beautiful fabric and gorgeous ribbon; I have been in love with their work since buying this book. My copy of this book has been well loved! I have made this dress about seven or eight times now and it is one of Miss Loofie’s favorite dresses ever! It is such a girly girly dress and it has the “twirl factor” that every girly girl loves. The “Seraphina”: This will be the over-the-top dress complete with rainbows, ribbons, ruffles and unicorns! I really hope that I can show that one pattern can produce very different outcomes.